We are Team Binusian who had represented Binus University to compete in iMotion FEUI 2013. iMotion is an annual marketing competition hosted by Faculty of Economics University of Indonesia which consists of marketing plan and debate competition participated by approximately 200 university students from all around Indonesia. The case for marketing plan was to trigger trial and new user for one of P&G product line: Gillette Mach 3. The competition was running for 3 months and divided into 3 parts which are marketing plan, execution, and final presentation. Team Binusian has total 5 members who are Giovanni Alexander, Jessica Novia, Maharani Vicka Sulistiandini, and Silvia from International Marketing and Ilham Said Radito from SI-MN as faculty recommendation. In the first step of competition, we had to make marketing plan that consist of research of the market, strategic planning, value propositions, integrated strategy for promotion, and we also did our research by going straight to the field. Luckily, we passed the first step and got a new task to implement our strategies in marketing plan to an execution. We were introduced to P&G agency that helped and guided us for the execution program. We received many insights and knowledge about practical marketing from them. We designed our promotional tools and planned all the details for our program. The 2nd step, which is the execution, was held in Anggrek and Syahdan Campus. Through this step, we learned a lot of things which are a real life application from the marketing theory that we have learned in our college years. We learned how to bravely approach people, deliver an effective selling pitch, facing countless rejection, and in process we gathered public’s opinion about the product we had sold. The hard work did pay off. 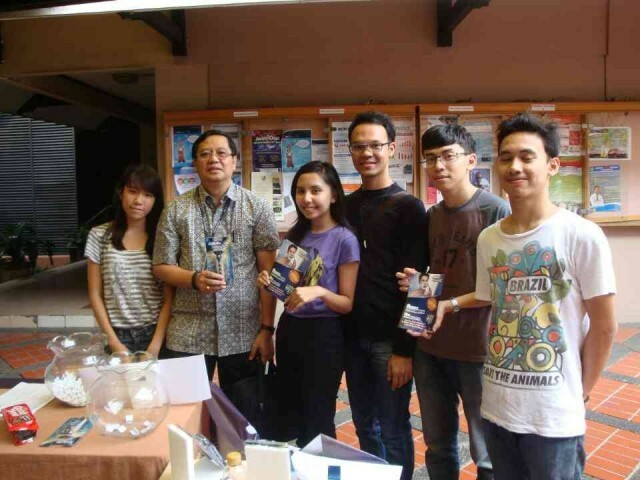 We managed to enter the last step of the competition, the final presentation in University of Indonesia. Here, we presented about our marketing plan and implementation in front of the judges and answer their questions and arguments. 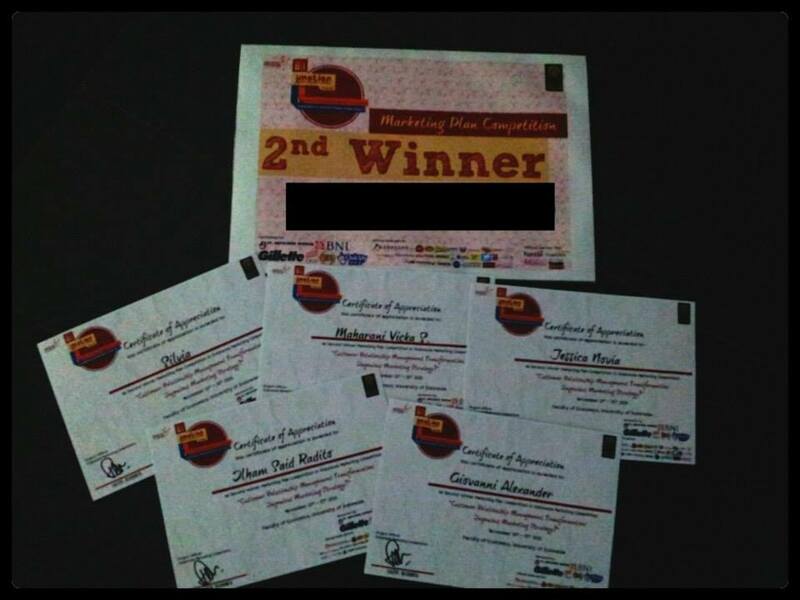 On the next day, the awarding day, we were told that we received 2nd place. We would like to present our major gratitude to all the people around us, namely Mrs. Ina Melati, Mr. Rudi Aryanto , Ms Yuli Eni, all the members of Management Laboratory, our family and friends. All the people we had encountered in this competition are considered a new family to us, and we are really grateful for all your massive support and trust for us. This is a very unforgettable experience for us. I am deeply grateful to God that I am able to join Team Binusian and experience such an amazing opportunity. I learned a lot throughout this competition, not only it expands my marketing skill, it also taught me about the meaning of hard work, team work, and the will to never quit. I hope iMotion will become the beginning of following challenges and opportunities to representing Bina Nusantara again, and do whoever support me proud. I am really proud to be one of the member of the team representing Bina Nusantara University for this competition. I got many unforgettable and amazing experiences, like team work, public speaking, problem solving, decision making, and adding my marketing knowledge a lot. Thank you to my family from Management Laboratory who has supported our team from the beginning until the end of our journey, and finally get the honor to be one of the winners of iMotion 2013. 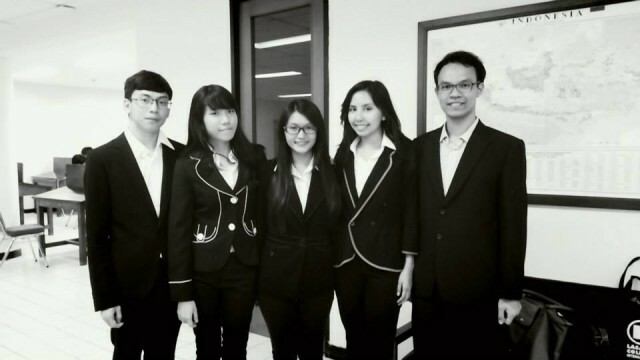 Really excited to represent the School of Business Management for the University of Indonesia’s iMotion in Depok for marketing plan competition in which we had learned a lot from the experience and the learning process. It was hard but very fun because our lecturer and friends who always support us. So we have more confidence to joint another competition in the future. I’m proud to represent Binus in iMotion. The experience I had was priceless. So many things I learned in marketing field I received here. Thank you so much for my team, our lectures, management laboratory, friends, and Families for the guidance & support. This is definitely one unforgettable and impressing experience. Having decided to compete in iMotion UI 2013 with no experience in making real marketing plan whatsoever makes me realize that I have to devote more time and effort to learn everything I can. With the support given from School of Business Management and fellow Binusian friends, my team and I had better chance to learn the necessary way of thinking in creating marketing initiatives needed in today’s competitive market, thus enabling us to achieve this result. So we thanked for all the support given from everyone. We’d never get this far if it wasn’t for them. And personally, I thank my fellow team mates with whom I had gone through thick and thin, from friends to family-alike. Let this be another step in achieving many more for our almamater, Binus University.